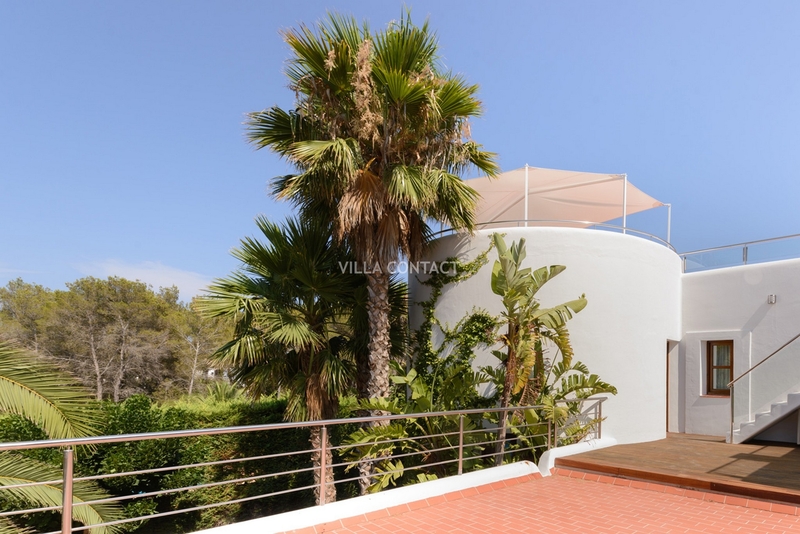 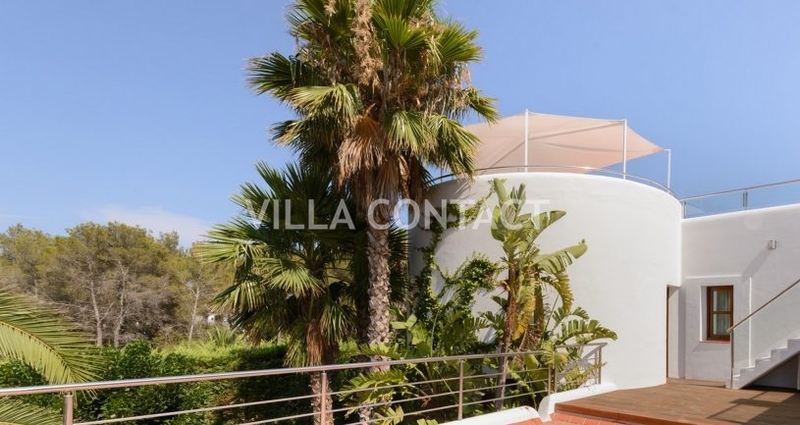 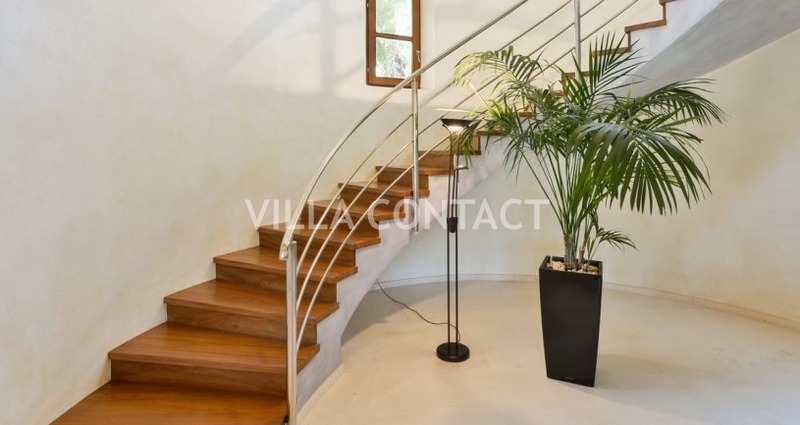 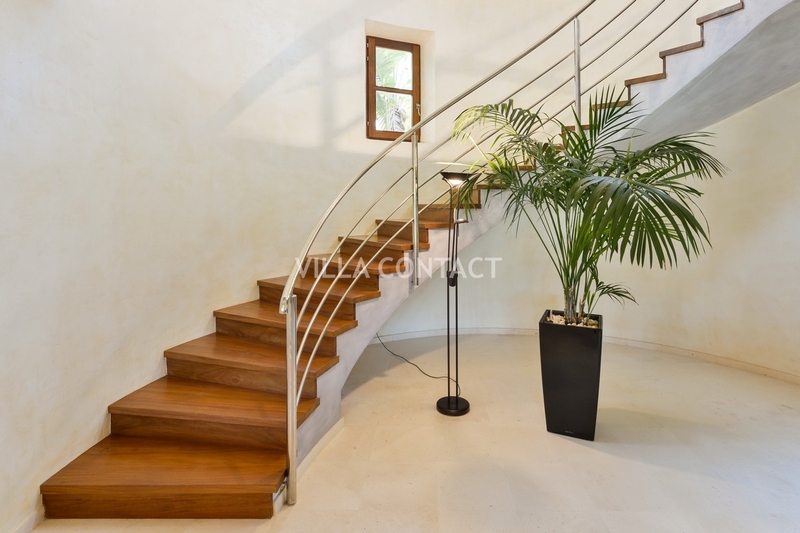 Stunning contemporary 5 bedroom villa with beautiful gardens and large private pool situated a short walk away from the beaches of Sargamasa and Niu Blau. 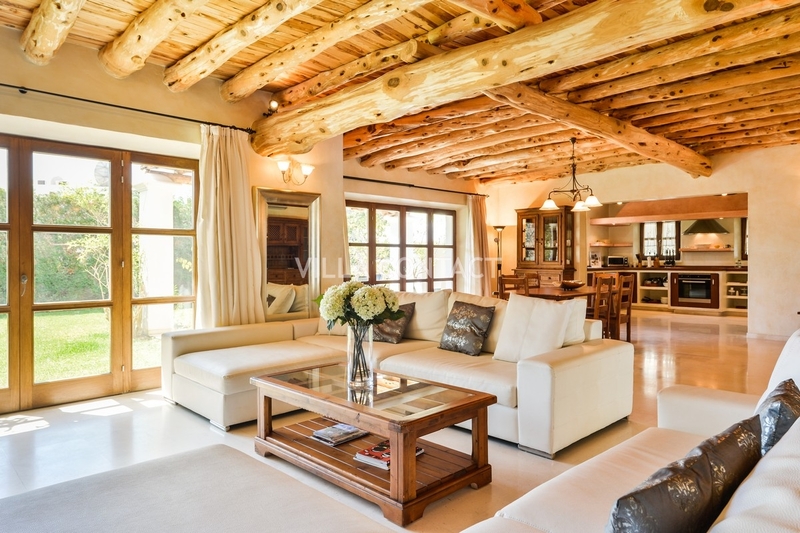 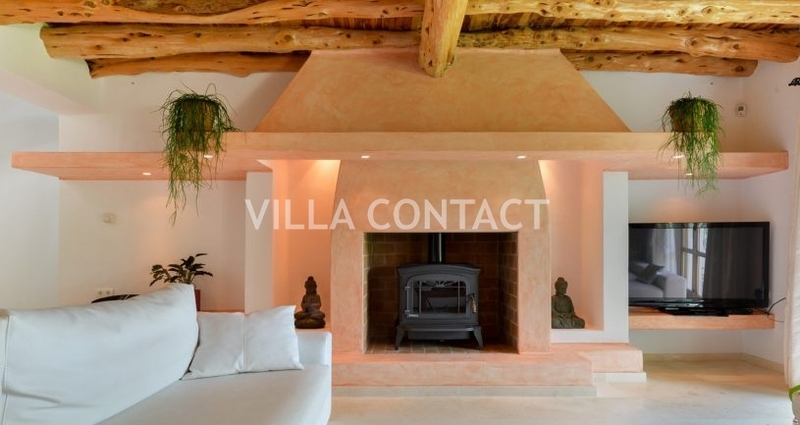 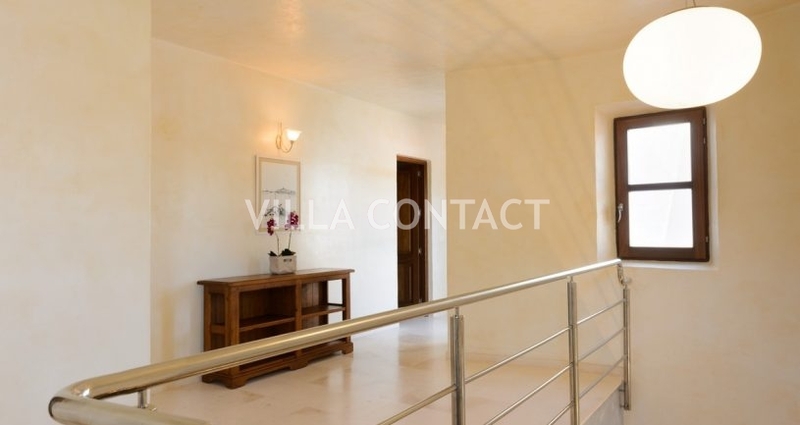 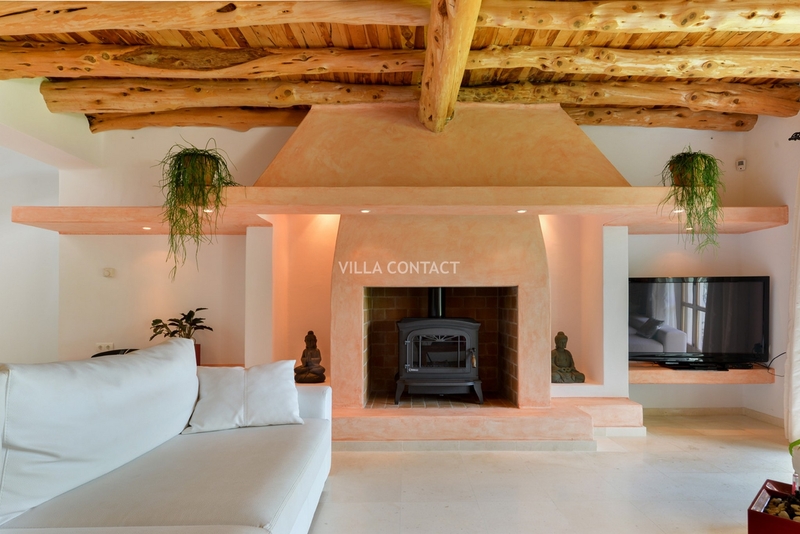 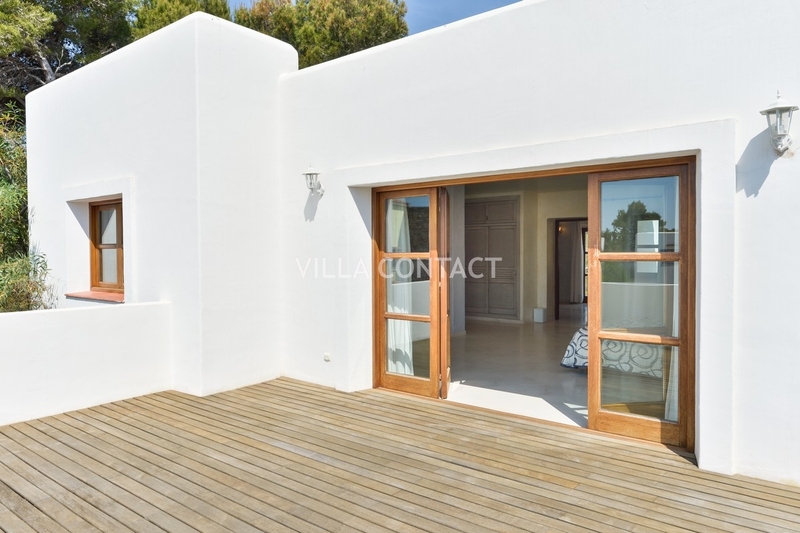 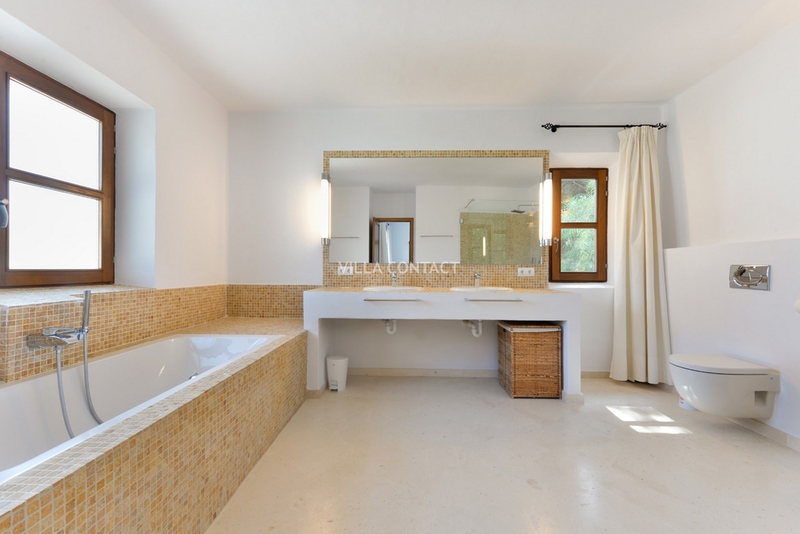 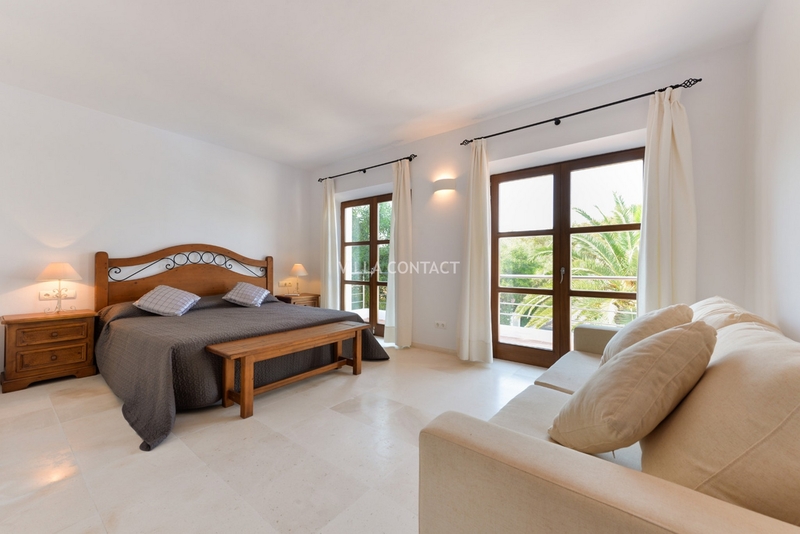 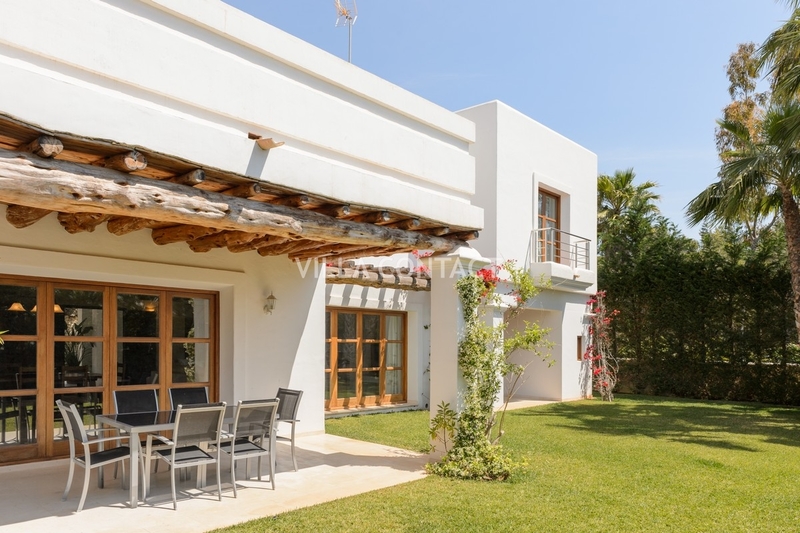 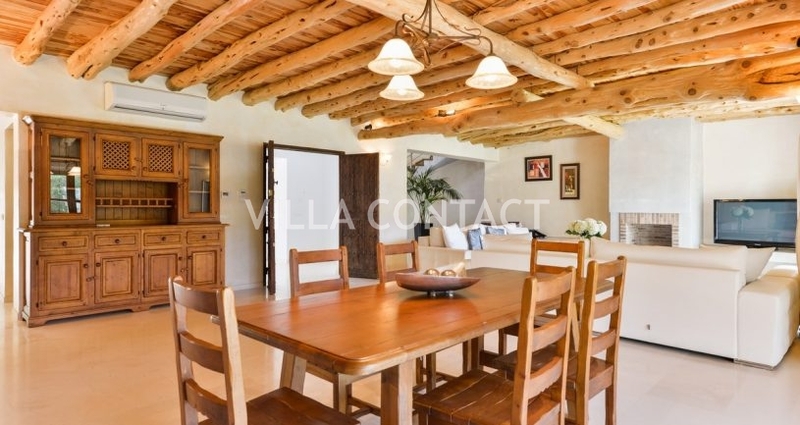 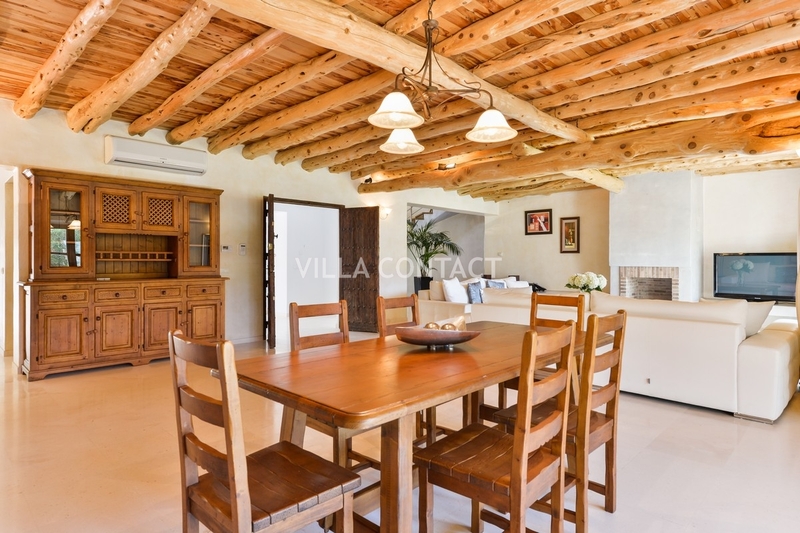 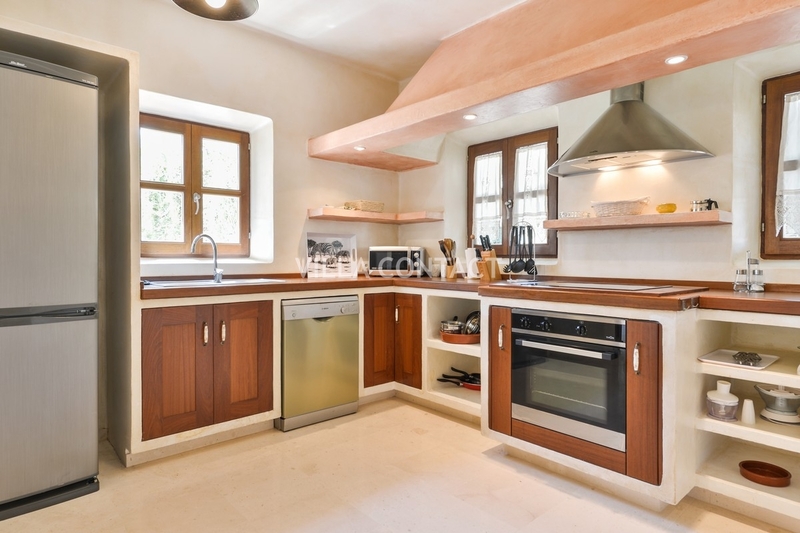 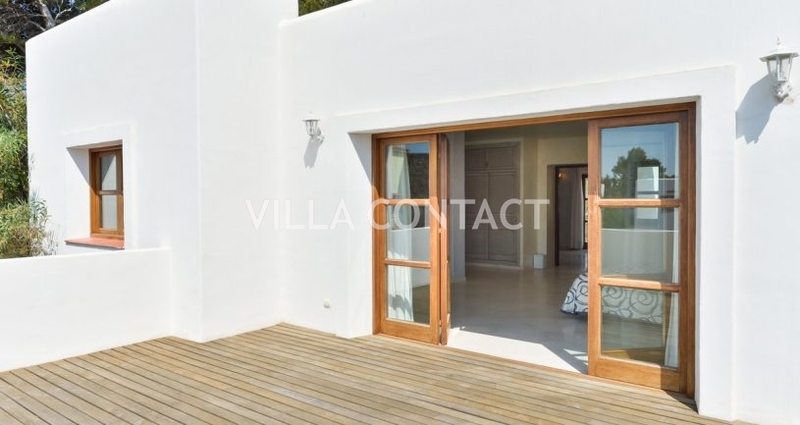 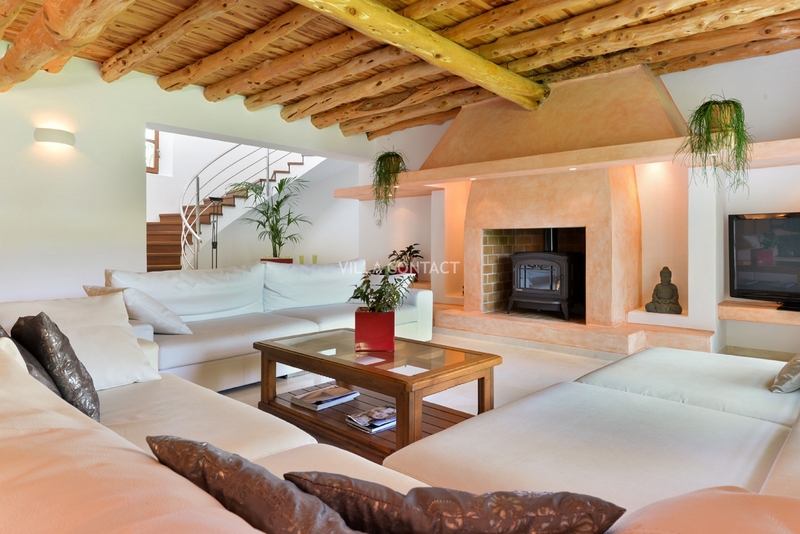 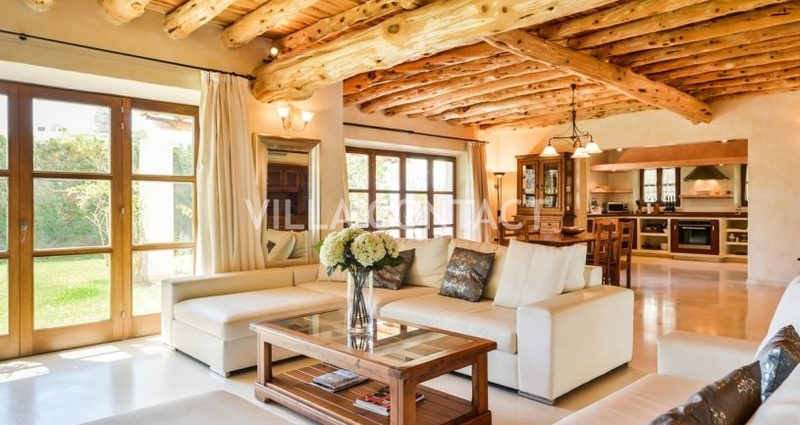 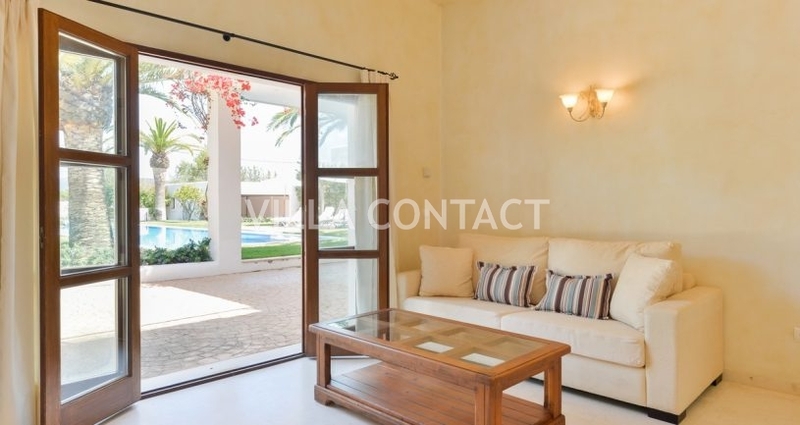 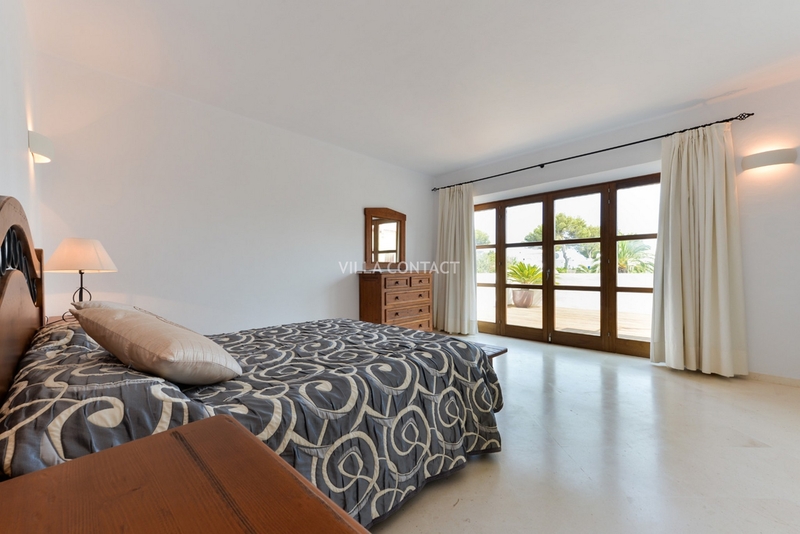 This wonderfully spacious villa is set over two floors, with four double bedrooms located upstairs and one on the ground floor with access to the garden, all with fully air-conditioned with ensuite bathrooms. 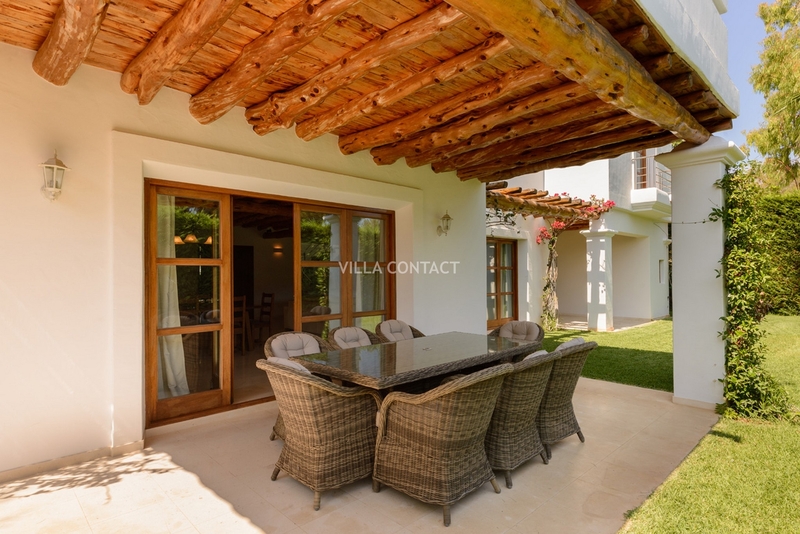 The spacious living / dining room opens out onto the pool deck at the front of the house and the covered terrace at the rear of the house with barbecue. 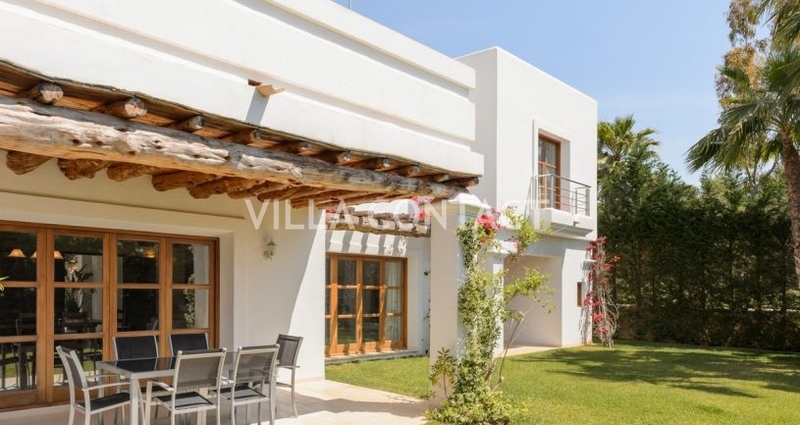 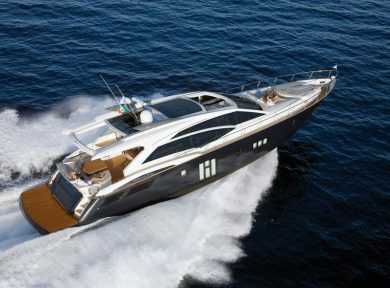 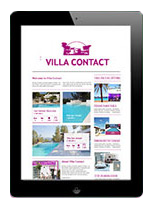 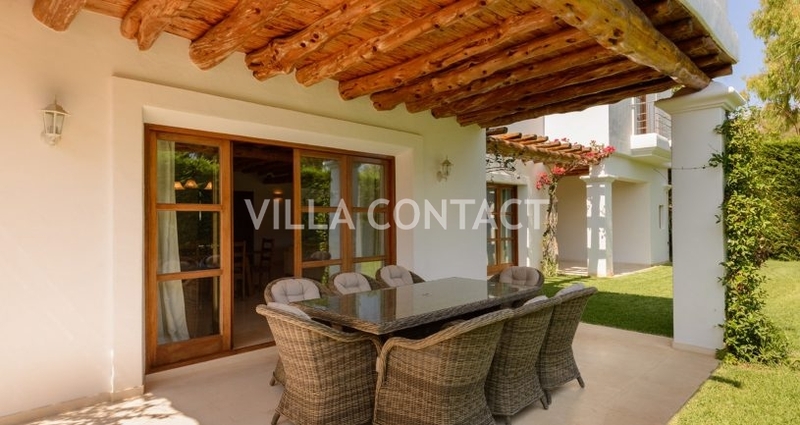 This villa is a great summer house for all types of groups such as singles couples or a large family. 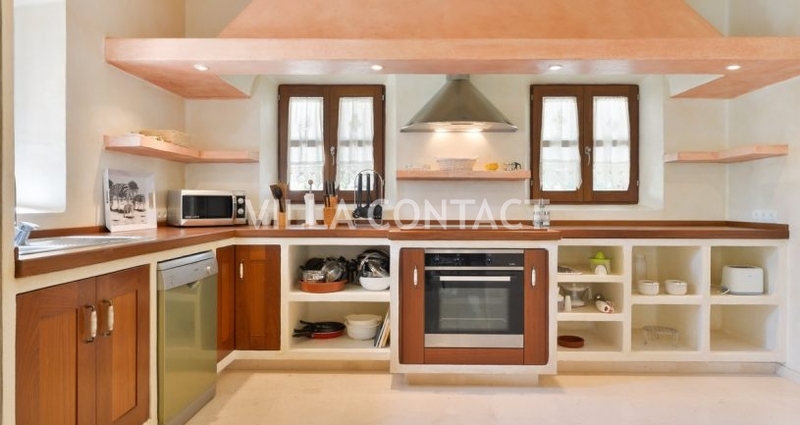 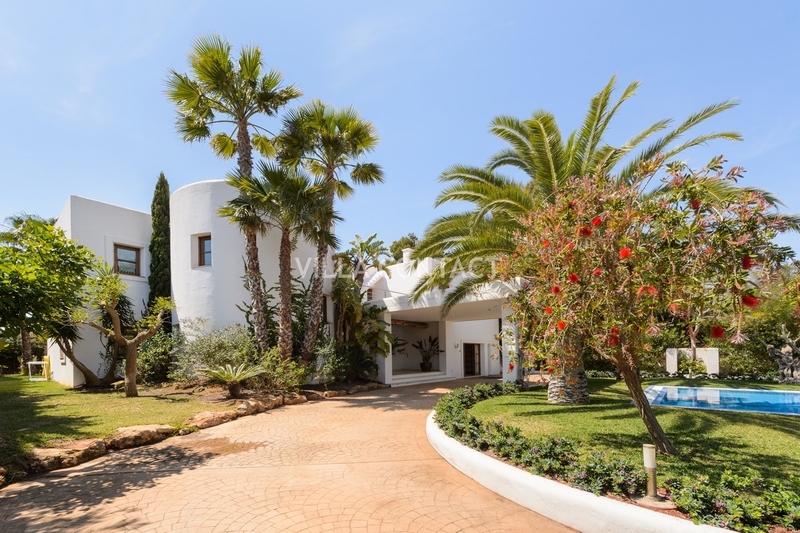 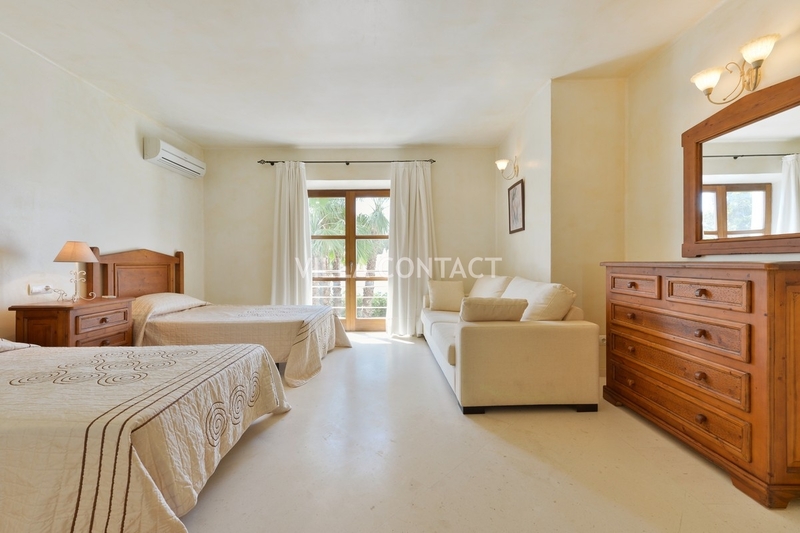 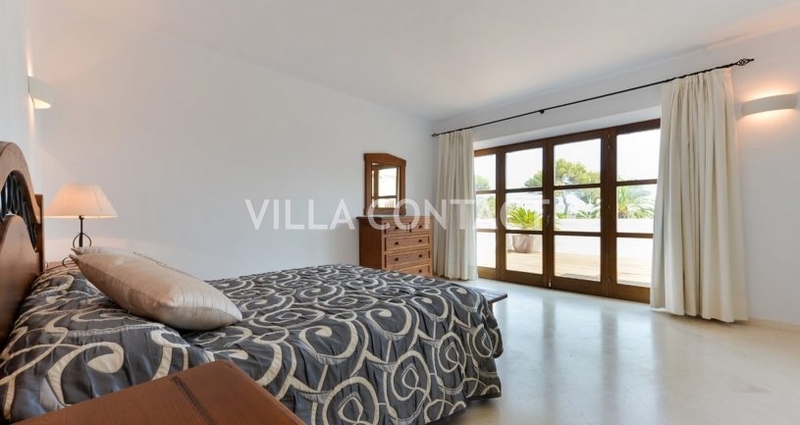 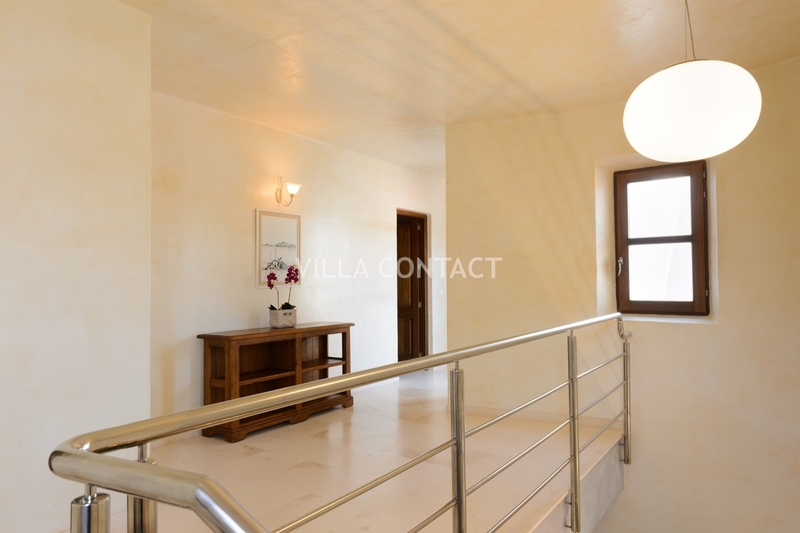 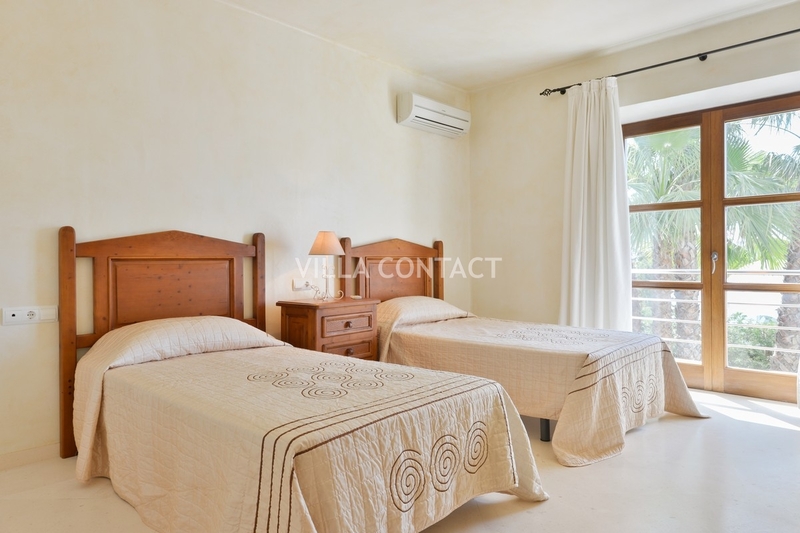 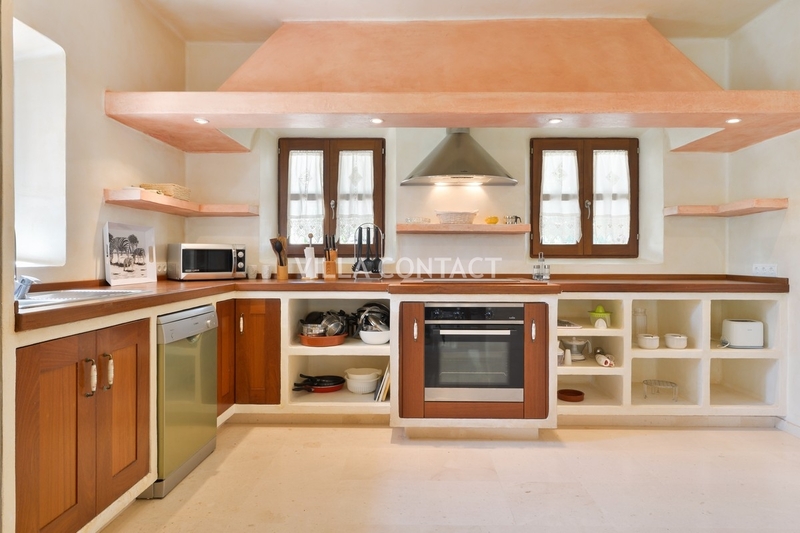 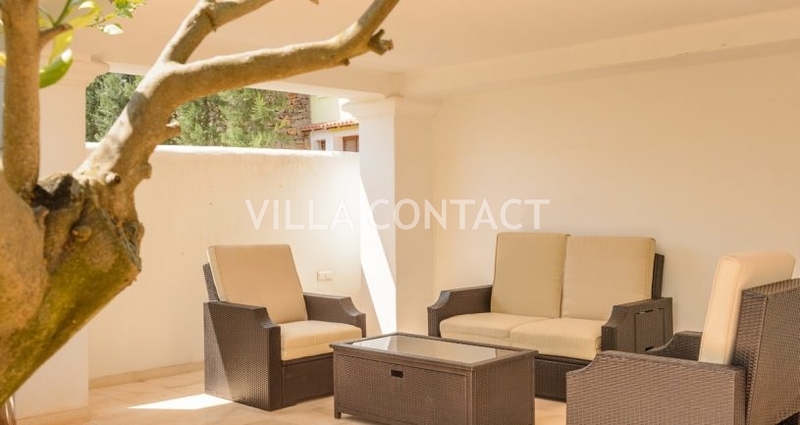 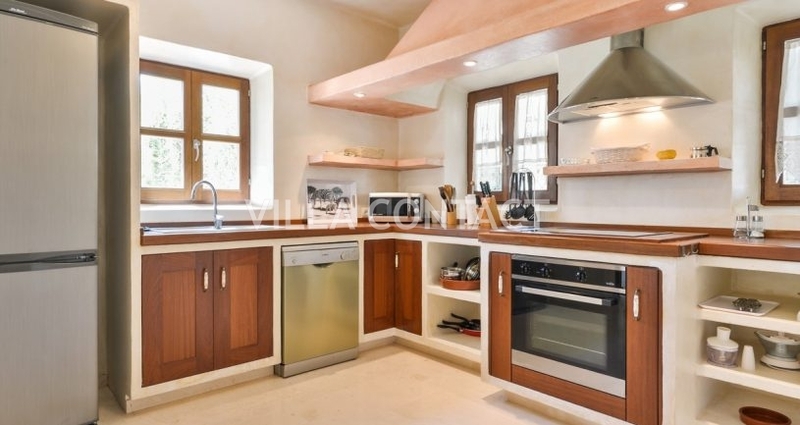 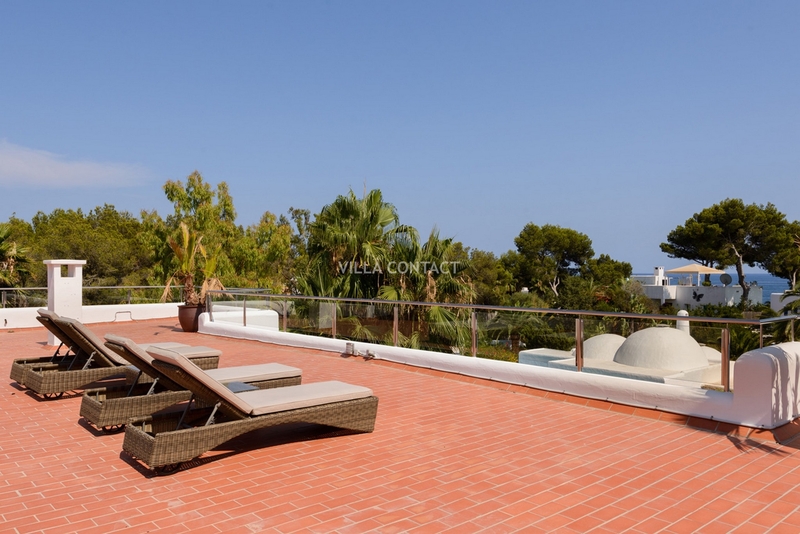 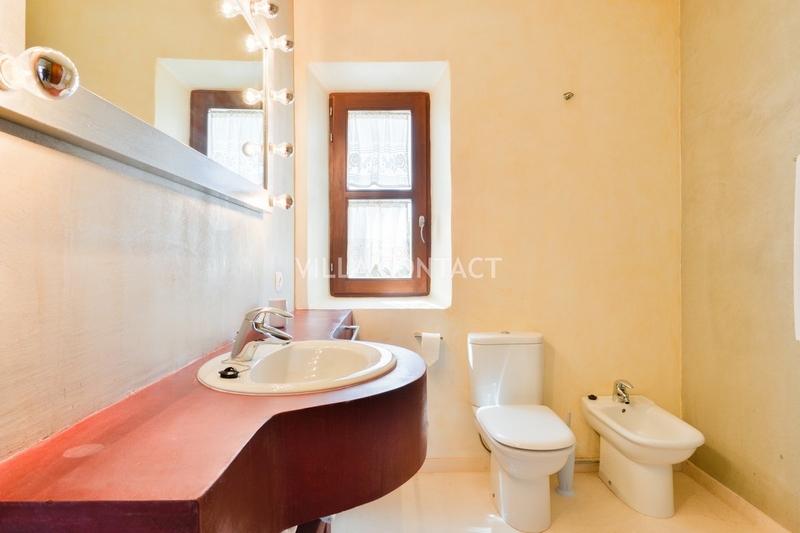 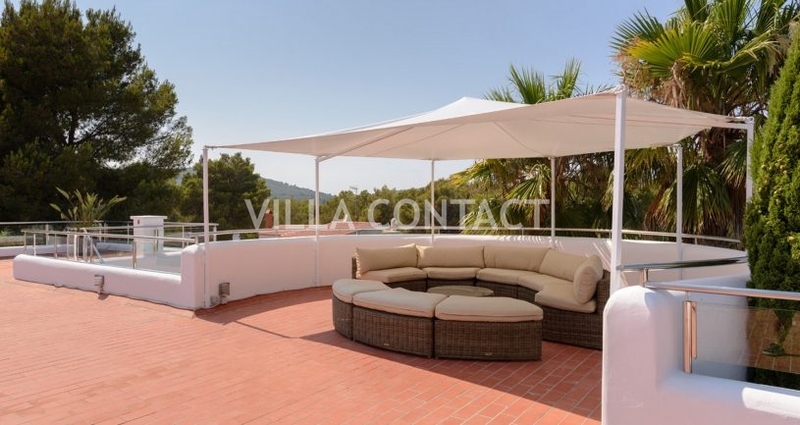 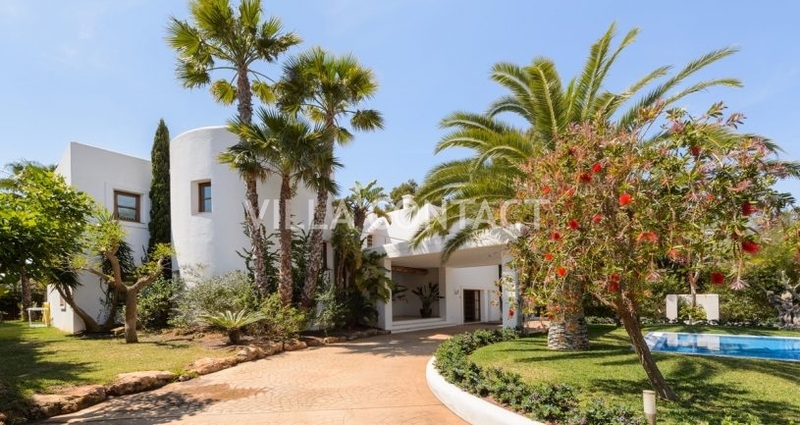 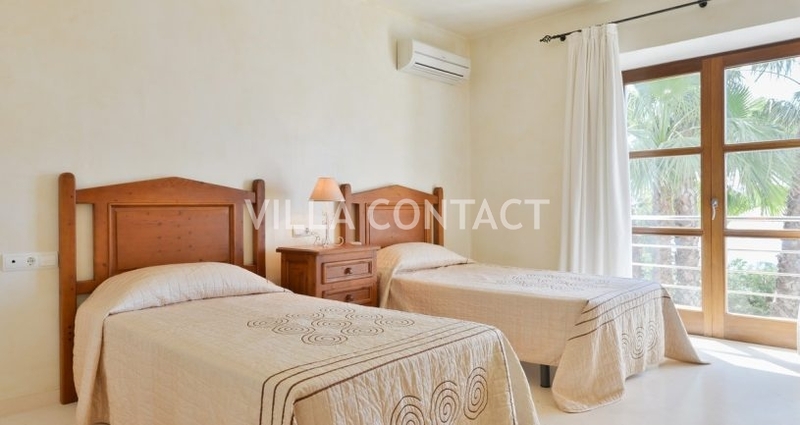 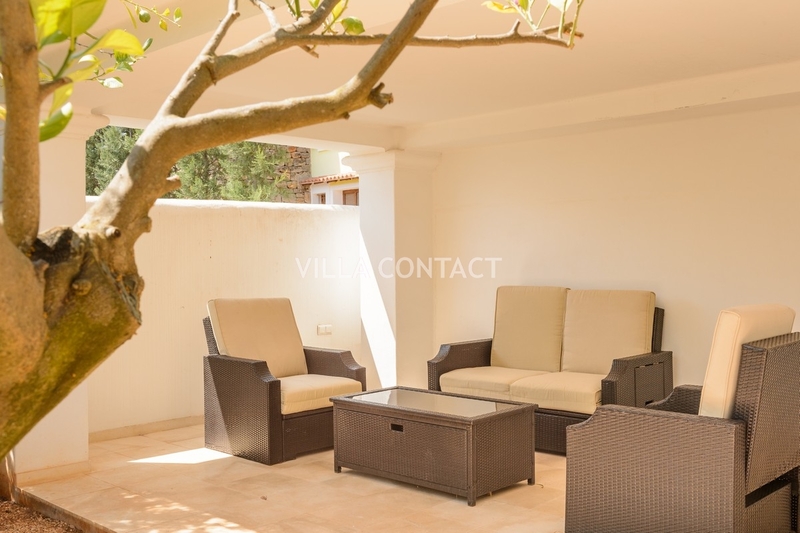 It is located just steps away from the sea and is conveniently lcoated to the neighbouring town of Santa Eulalia and the supermarkets and restaurants.